Sheet masks are my favorite skincare treatment (peel-off masks a close second) mostly because they are the easiest thing in the world to use. No cleaning up, no washing, nothing - and the ones I have tried so far have all worked without much to complain about. 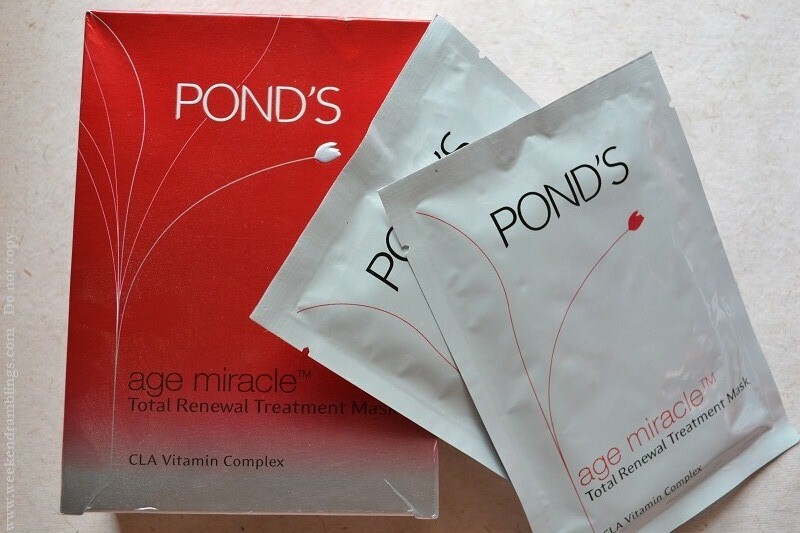 Ponds Age Miracle Total Renewal Treatment Masks are no exception. Each box contains 7 individually packed masks. Although, I feel it would be great to be able to buy just 1 mask at a time, I don't have too much to complain about since I do end up using all the masks or sharing with a friend. 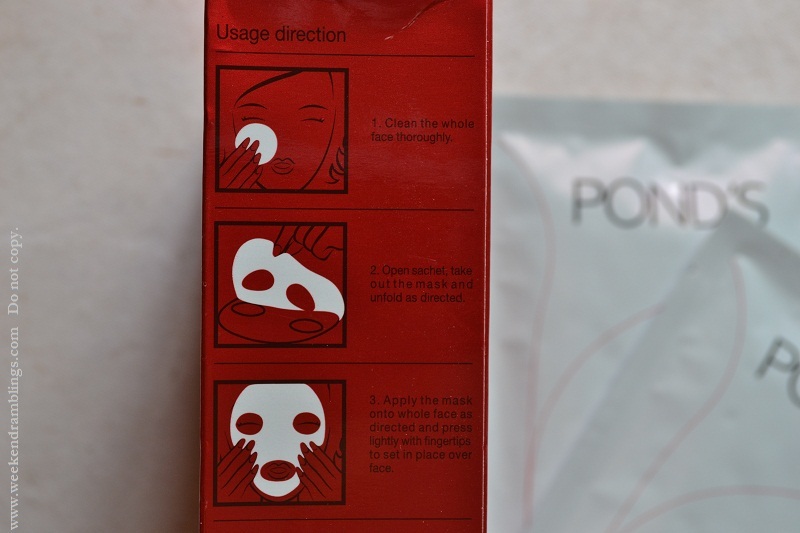 How to Use: Tear open a packet, take out the mask, spread the mask on clean face. Smooth the mask properly over face to ensure that it is in proper contact with skin. Wait 10 minutes - okay sometimes I forget and it's about 15-20 minutes with no harm done. 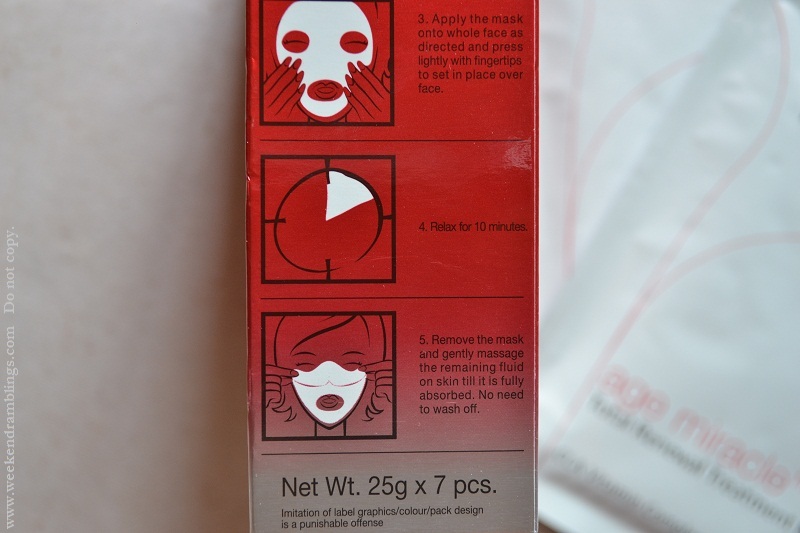 Take off mask and discard (you could use the mask on hands/feet/neck - there will be loads of product left behind). Massage any product left on face into skin. Of course, I love this mask. It does not irritate my skin. It gives a healthy, glowing look to my face, though this is a temporary effect which wears off over the next 2-3 days. 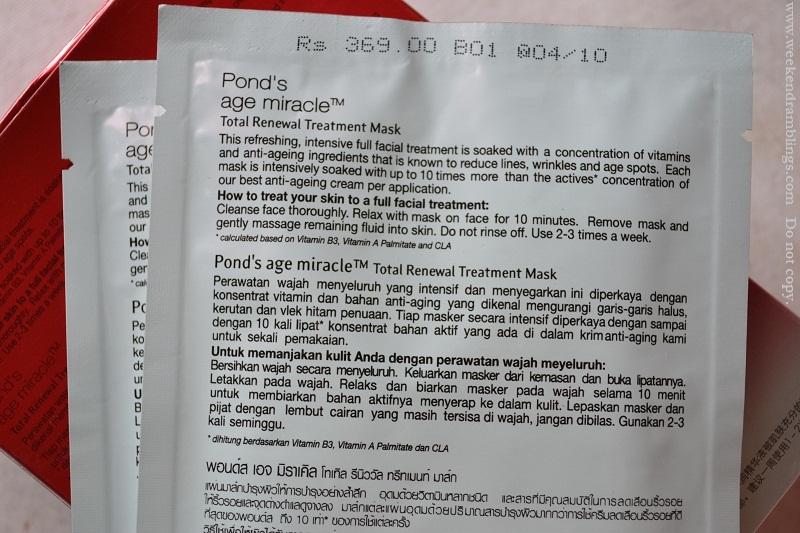 It didn't make my skin too oily, but it is a very hydrating mask, and I would hesitate to recommend it to the oily-skin girls. Normal/dry/combination skin types - this would work great. Apparently, this is not that easy to find - I got mine at Spar, Bangalore. Not sure where else this is available.